Someone once said so very profoundly, "The hand that rocks the cradle, rules the world." As brilliant as this seems, it's only as true as our Sovereign Father above permits. For the sake of this article, we will note the strength that does indeed lie within this time tested observation. "Mother," she is someone in a child's life like no other. Her characteristics can be everything one would desire her to be, or maybe even to the other extreme of a total failure. Or, she may be the one that likely fits most categories as slightly less than having her motherhood perfected. At any rate, as the children of God, we know that to succeed in the role of mother, our safest guide will be what we've been given through God's Word. This prior evening, David and I heard a highly educated woman give the most impacting testimony of how she became a Christian and a mother, that we've probably ever heard before. This lady was trained in religion from childhood with a moral respectable upbringing. However in her deeper academic studies she began to read after Austrian and German philosophers such as Freud and Marx. Soon her value system and world view was adapted to such humanistic ideology and atheistic concepts that feminism and lesbianism became her platform. After so many inappropriate responses from Christian people regarding how to relate to persons choosing this life pattern, she was less than open to hearing what a Christian had to say. In an effort to condense this story and be somewhat fair to represent it, she did finally meet a Christian man and his wife who offered her friendship, as opposed to condemning, corrective speech. Through their loving efforts and encouragement for her to seek what is truth on her own, she slowly, over time began to listen and search the Bible for herself. Even with all of her academic professionalism, it took some time before she began through serious study to see that the Bible was a Book of inerrancy, and inspired by God. In the short of it, when this woman found truth, the Lord opened her heart to receive it. Today she is by her own testimony a wife and mother, writer and teacher whom the Lord has made a vessel of honor unto Him. How encouraging to know that the Heavenly Father is ever calling people from every given situation to a life hidden with Christ in God. Even as He does this for all who will receive Him, today we focus on the mother to whom He has given so much capacity for His great love to nurture, train, and love those under her protective wing. Mothers should study and apply unto the wisdom given of God through His Word. Often mothers are asked for their counsel, and it would be prudent to be prepared to give it well from the only sure truth that stands. The Scripture texts places the wife and mother most productive in her own home. Passages such as Titus 2 will describe the conduct of her life and primary domain for God's intended function for her. In this culture, we seem so very far from this pattern. There should be great concern for the impact this has taken already upon our coming generation of adults who should be prepared to carry on in God's predestined plan for mankind. How we should pray for mothers today and the turning of their hearts to God's truth, as well as the fathers who should honor God's Word as the leader in his family. A description of this blessed woman of motherhood can be found in the 31st Proverb. One may read through this and say that she doesn't exist. This would be true, except for the grace of God that causes it to be so. Mothers, may we pray for one another this day in this ever challenging society in which we find ourselves. If we'll call on Him, He is faithful to hear us and deliver us from our trouble. He will be with us and give us His great grace. He is the Faithful Friend. She maketh herself coverings of tapestry; her clothing is silk and purple. Her husband is known in the gates, when he sitteth among the elders of the land. Favour is deceitful, and beauty is vain: but a woman that feareth the LORD, she shall be praised. Give her of the fruit of her hands; and let her own works praise her in the gates." I am a Father and I have children, I also have stepchildren I love as my own. Some are grown up now and have their own families, one is still home as a teen. The fact that our family is what has come to be called a blended family testifies that we live in a broken world and in different forms that brokenness affects our families. The Bible and Christianity address all this brokenness in our lives and causes us to see it for what it is, sin. Because we are sinful by nature we experience this brokenness in an enumerable variety of ways in our society, communities, and families. As a Christian I must accept certain responsibilities as a father, understanding what these are requires study of Gods Word accompanied with prayer and helpful teaching from other faithful men of faith. Most people of the Christian faith would understand and agree with that. But as I pointed out last week people believe many things. For instance, in preparing for this post I read the following statements from a person on children and religion. That is not to say that positive influence is not helpful to a child, and that living in a negative Christian atmosphere will not be a hindrance to coming to faith in Christ. It is to recognized our source of hope and trust that God will show mercy and call our children into the faith. We are not to become angry with people who do not understand, but simply present the Gospel as best we can to them and pray that God open their understanding. The hostility or dislike that people as the one above has toward Christianity stem from their choice of unbelief, they do not want God to govern their lives. As to Christianity, its principles would teach our children to walk with integrity, honesty, and purity in behavior. To work hard, be generous and kind, love their neighbor and treat people with equality. It will teach our children to love their spouses, be faithful in relationships and care for and honor their parents. It is just a belief in God that offends their conscience and therefore they are offended with Christians. I often wonder which virtue of the Christian faith is the one that offends or the one they don't want their children to walk in. They are offended at God and therefore offended at his people. I assume they feel they can teach these things to their children without Christianity, which a far a morals goes they can, provided the culture allows for it. What is misunderstood is that Christianity is more than morals, morality does not offer a payment to an offended God. An understanding of the Creator's justice is something we all come short of. May the God of Grace help us as Christian Fathers to lead our children in the ways of righteousness and trust Him to create in them a new heart and a desire to love and walk with Him throughout their lives. Then in turn lead their families into the same faith of hope and love. May He give us as fathers the Grace to present the Gospel to those who are offended in such a way that it pleases Him to open their eyes to see Him for the Glory of which He is. At any rate, there's so much hidden in this portrait of simple modesty and grace. Too often it's easy to be of the opinion that we've come so far since our ancestors arrived in this great land establishing a place of freedom to worship the true and living God. When we read through the practices and habits of the Puritan era within a group of folks, most always someone will have to make a mockery of something pertaining to such levels of devotion in the lives of these who should be remembered for so much. The point today is simply that she, and those of her company have had their day in the plan of the Lord. Their witness has made its destined mark in this world. Now we're left with the things we can read of these works of grace, and such a blessing this is as we seek to walk out a life of modesty and simplicity that would honor the Lord in a day such as we find ourselves. Photographs will be left behind of you and I as well. What will be the message portrayed to the observer upon their gaze? Will it be serenity and peace? Will it be "an ornament of a meek and quite spirit?" Could it be a confidence revealed that transcends one beyond his present circumstances to know the gracious hand of his God? Or, will it be the cares of this life that have weighed and stressed with great marks, the countenance that our Lord intended to be shaped by Him? As we make our journey through this place of temporary citizenship, may we be ever mindful that it is the Christ within whereby we now live. He is our eternal hope of glory! While our clothing styles have changed (though they should still be modest of course), His presence never does. His light within never changes. Proverbs 15:13 "A merry heart maketh a cheerful countenance: but by sorrow of the heart the spirit is broken." I Peter 3:4 "But let it be the hidden man of the heart, in that which is not corruptible, even the ornament of a meek and quiet spirit, which is in the sight of God of great price." I realize I am wading in a river too deep, climbing a mountain too high for me. So bear with me, think me not too foolish, this is only a place for me to come and think, let you in on those thoughts, and if you choose to listen, then perhaps add some thoughts of your own. The Doctrines of Grace have crushed me, my heart lies broken before God, I am overwhelmed with His Mercy and Love. Those words are an expression of that which weighs upon my heart, you may understand them, then again you may not. How does one understand people of faith? What do we mean by "people of faith"? For the purpose of this writing we will define people of faith solely as those of the Christian faith. For to us there is only one true faith, you cannot be Christian and believe otherwise. I know the term is used broadly in society, you hear the question asked, "What faith are you" implying there are others from which one can choose. So of necessity, in such a writing as this it must be defined. Even within Christian circles you still hear this phrase, "What faith are you" in reference to denominational preferences within the Church. These differences abide among us because of our sin and imperfections. There is still to us only one faith, tho our profession of it differs as a result of the weakness of our understanding. So you can see, the river truly does run deep when attempting to define people of faith. 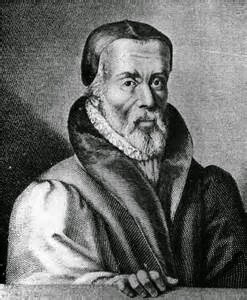 As I contemplated this week on this blog posting, my thoughts were following William Tyndale. So I began to study along the lines of his life. 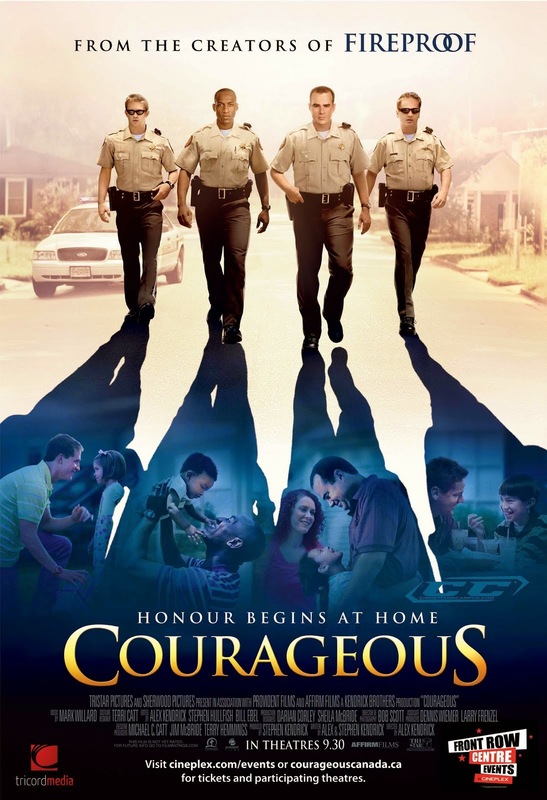 Last night Julie and I watched again the movie Courageous and FireProof which are excellent movies in my view from a Christian prospective and very well done. The weight of the stories told in those movies have produced the thoughts you are reading. I think William Tyndale is still the target, but the arrow will be shot, and aim taken from this prospective, and we will see how the arrow travels as it approaches its target. The theme, the picture on the movie cover, its reference to FireProof, it reaches out to people of faith, perhaps even a means to bring some people to faith. To most I would say, the idea of courage, honesty, integrity, family, faithfulness, truth, honor, respect, they all appeal to us in some measure. The depth of that measure and the application of it in our lives determine many things. So where do we begin? Where else but scripture? By definition, people of faith must be a people who believe something. By the definition we are using here, that something must be limited to scripture (Sola scriptura), if you are unfamiliar with that term, go to your favorite search engine and search "the five solae" . That scripture itself will be limited to that which is found within the Christian Bible as accepted by the Church as inspired and God breathed. This will define the subject of "People of Faith" as we approach it. Remember our target will be William Tyndale, and by arriving there, it will be our purpose to gain some clarity of people of faith and their hope in Jesus Christ. As we follow the arrow down it's path, we will be much like Moses as God hid him in the clift of the rock and covered him with his hand, we will get but only a glimpse of the glory of this great subject. For those of you who are not familiar with Moses and this event, you will find it in the Christian Bible in Exodus Chapter 33. Perhaps we can discover some comprehensible thought of an incomprehensible God, thereby, become a part of or increase in a people of faith. The concept of the Christian God is transcendent, so immense, eternity will not reveal His completeness. So our attempt here will be but to take small pieces and glimpses of this immensity and examine it as much as it can be with our limitations of mind and language. For example, in future post you may see titles such as "People of Faith, the father" People of Faith, the family" etc. as we try to focus for clarity on certain aspects of this subject. As we approach this subject, it will be good to acknowledge that people believe many things. I met a fellow not long ago who took his liberty to share with me his experience of seeing demons. As we were there in his home he told me how they would run around on the floor and would even let him pet them sometimes. In case you are wondering, yes he is eligible to vote and he does have a drivers license. I was in the home of another person not long ago who lived near a cemetery, he told me how they had visitors from time to time, the kind that don't knock on the door. They would just appear and visit a while and then vanish. He said they were nice and didn't bother anything so they didn't mind the visits. O yes, people believe many things, so it is acknowledged here that to those who have not come to faith in Christ may very well view our definition of people of faith along with this category. From the heart and the home. Life in Christ! There's just nothing to compare with our walk with the Lord. As Christians, we know that any other alternative is really no life at all, but a mere existence in this earth. We have a great Potter that is spoken of throughout the Bible. Lately it may seem that you've found yourself to be in the clay bowl of the Potter. At times it seems we have to go through that process that takes us down to clay that must be kneaded even before He can put us on the wheel to form and shape His instrument of use. At times when the winds of change blow through our lives and His Holy convicting Spirit turns on the search light within our souls, the result may even produce a sense of astonishment at what is revealed. Yet, the fact that He would even bother to soil His holy hands with clay such as us is in itself a wonder of His great grace. How grateful we must be for the Holiness of our Great God. Without His holiness, we are without hope. Someone said this week that anymore we have great preaching of the Word in so many areas, however the living in Him is small. This preaching spoken of here is not just limited to the pulpits of the land either. Each of us who are in Christ have that place of ministry. We are all proclaiming something wherever we may find ourselves with the words of our mouths. So many times, it can be spoken so well, yet, then negated by the demonstration in the life. Our theology may be sound. We may bring the house down with such a well prepared word of wisdom. Thanks be to God for those who labor in the proclamation of His Truth! Yet, we mustn't forget that even the enemy, Satan, knows theology. This great truth must be demonstrated in power through the provision of God's Grace. That day by day, step by step, moment by moment, walk in the Spirit produces the evidence of the life hidden with Christ in God. May we submit ourselves to the hand of the Great Potter to do with us as He will. May we never begin to think that "We've got this!" and can strike out on our own in some warped endeavor to represent His Word. If we seek Him early, we will find Him. He is everything He said that He would be. Glory to God in the Highest! Jeremiah 18:6 "O house of Israel, cannot I do with you as this potter? saith the LORD. Behold, as the clay is in the potter's hand, so are ye in mine hand, O house of Israel." Romans 9:21 "Hath not the potter power over the clay, of the same lump to make one vessel unto honour, and another unto dishonour?" "A word on David Brainerd"
In the summer of 1742, when all of Brainerds personal plans were brought to nothing, the suggestion was made that Brainerd become a missionary to the Indians. On November 25, 1742 Brainerd was examined for his fitness for the work and appointed as a missionary to the Indians. Brainerd preached to the Indians at the Forks of the Delaware for one year. But on June 19, 1745 he made his first preaching tour to the Indians at Crossweeksung, New Jersey. This was the place where God moved in amazing power and brought awakening and blessing to the Indians. Within a year there were 130 converted in his growing assembly of believers. The whole Christian community moved from Crossweeksung to Cranberry in May 1746 to have their own land and village. 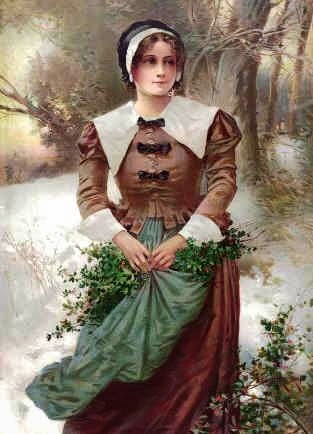 Brainerd stayed with these Indians until he was too sick to minister, and in November 1746 he left Cranberry to spend four months trying to recuperate in Elizabethtown at the house of Jonathan Dickinson. 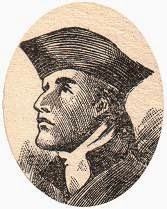 On March 20, 1747 David Brainerd made one last visit to his Indian friends and then rode to the house of Jonathan Edwards in Northampton, Massachusetts, arriving May 28, 1747. He made one trip to Boston during the summer and then returned and died of tuberculosis in Edwards' house October 9, 1747. It was a short life: twenty-nine years, five months and nineteen days. Eight of those years as a believer, and four of those as a missionary. What was the impact of such a short life? John Wesley would say, "Let every preacher read carefully over the 'Life of Brainerd". It was said of the great missionary Henry Martyn that "perusing the life of David Brainerd, his soul was filled with a holy emulation of that extraordinary man; and after deep consideration and fervent prayer, he was at length fixed in a resolution to imitate his example" The great missionary William Carey regard Edwards' Life of Brainerd as a sacred text? Robert Morrison and Robert McCheyne of Scotland and John Mills of America and Frederick Schwartz of Germany and David Livingston of England and Andrew Murray of South Africa and Jim Elliot of modern America all look upon Brainerd with a kind of awe and their lives impacted greatly as countless others were. How did such a man with such a short life come to impact the lives of so many. The answer may be found in 1Co 1:25 Because the foolishness of God is wiser than men; and the weakness of God is stronger than men. Brainerd's life is a vivid, powerful testimony to the truth that God can and does use weak, sick, discouraged, beat-down, lonely, struggling saints, who cry to him day and night, to accomplish amazing things for his glory. Let us take a moment and hear the words and voice of David Brainerd. On May of 1744 he wrote, "Rode several hours in the rain through the howling wilderness, although I was so disordered in body that little or nothing but blood came from me" "In the afternoon my pain increased exceedingly; and was obliged to betake myself to bed ... Was sometimes almost bereaved of the exercise of my reason by the extremity of pain." August of 1746 he wrote, "Having lain in cold sweat all night, I coughed much bloody matter this morning, and was under great disorder of body, and not a little melancholy." September he wrote, "Exercised with a violent cough and a considerable fever; had no appetite to any kind of food; and frequently brought up what I ate, as soon as it was down; and oftentimes had little rest in my bed, by reason of pains in my breast and back: was able, however, to rode over to my people, about two miles, every day, and take some care of those who were then at work upon a small house for me to reside in amongst the Indians"
In August he says, "In this weak state of body, (I) was not a little distressed for want of suitable food. Had no bread, nor could I get any. I am forced to go or send ten or fifteen miles for all the bread I eat; and sometimes 'tis moldy and sour before I eat it, if I get any considerable quantity ... But through divine goodness I had some Indian meal, of which I made little cakes and fried them. Yet felt contented with my circumstances, and sweetly resigned to God". He would write of these difficulties, "Such fatigues and hardship as these serve to wean me more from the earth; and, I trust, will make heaven the sweeter. Formerly, when I was thus exposed to cold, rain, etc., I was ready to please myself with the thoughts of enjoying a comfortable house, a warm fire, and other outward comforts; but now these have less place in my heart (through the grace of God) and my eye is more to God for comfort. In this world I expect tribulation; and it does not now, as formerly, appear strange to me; I don't in such seasons of difficulty flatter myself that it will be better hereafter; but rather think how much worse it might be; how much greater trials others of God's children have endured; and how much greater are yet perhaps reserved for me. Blessed be God that he makes (=is) the comfort to me, under my sharpest trials; and scarce ever lets these thoughts be attended with terror or melancholy; but they are attended frequently with great joy." What was this great joy? Lord's Day, April 25. "This morning I spent about two hours in secret duties and was enabled more than ordinarily to agonize for immortal souls. 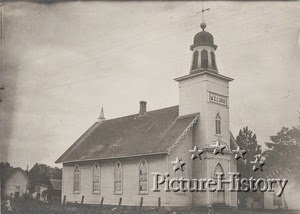 Though it was early in the morning and the sun scarcely shined at all, yet my body was quite wet with sweat..."
Lord's Day, December 29 "...After public worship was over, I went to my house, proposing to preach again after a short season of intermission. But they soon came in one after another; with tears in their eyes, to know, "what they should do to be saved..." It was an amazing season of power among them, and seemed as if God had "bowed the heavens and come down..." and that God was about to convert the whole world." July 21st, "This morning about nine I withdrew to the woods for prayer. I was in such anguish that when I rose from my knees I felt extremely weak and overcome, and the sweat ran down my face and body ... I cared not where or how I lived, or what hardships I went through, so that I could but gain souls for Christ. I continued in this frame all the evening and night." Could it be that For all things are for your sakes, that the abundant grace might through the thanksgiving of many redound to the glory of God. During the course of this week, it's been astounding to note the number of hurting people that we've encountered. So often the impression given by the one hurting is please fix this for me, and fix it quickly. What's often most troubling to find in these circumstances is the fact that too many are not willing to listen to the true cure for what is ailing them. There may be medical situations, unpaid bills, loss of a loved one, or loved ones (via death or divorce) etc. The turns in life that bring heart break are unable to be numbered. The causes of such painful drama are many as well. Whether we suffer from our own choices or those of someone else, we know that living in a fallen, sinful world is going to have consequence that brings pain to our lives. Is there a cure? Is there hope amidst such pain? According to the Scripture, we know that there certainly is blessed hope for the hurting. Though none be worthy of such merit of eternal grace, it has been freely given. Nothing was due us in the way of making our lives happy and comfortable. Yet, through marvelous grace, we've been blessed beyond measure to enjoy the comforts of the Spirit of God to direct our paths if we but trust Him. As good as this grace is of which so many of us are aware, there are those who simply will not receive this abundant provision. We mentioned earlier that they simply will not listen to that which will bring about the relief sought for their situation. These may be those who sincerely desire your compassion and words of condolence. However, the work of Christ being revealed within their hearts just doesn't seem to occur. There's no seeking Him while He may be found with them. His Wisdom is necessary in any approach we may take with anyone. His truth must be given and tempered with His love when we share His gracious gifts with the hurting. There is a place of prayer that must be attended when we dare to share the precious oracles of His Word. Perhaps you've a hurting one directly in your path at the present reading. Maybe you've talked with them until you're blue in the face and it has been seemingly to no avail. How important it is to remember how we're counseled in the Word to take our burden to Him and leave it there. Christ is the One who will change the heart of stone. He's the One who will heal and restore that which is amiss. He's also the One who knows if this person in your path will ever respond favorably to His truth. Thus, we must not grow weary in the work of love. Matthew 11:28-30 "Come unto me, all ye that labour and are heavy laden, and I will give you rest. Take my yoke upon you, and learn of me; for I am meek and lowly in heart: and ye shall find rest unto your souls. For my yoke is easy, and my burden is light." Have you ever noticed that life does not turn out the way you plan it. Maybe you were like me and never really planned it to start with. (LOL) When I was in High School and into young adult hood I really did not put much thought into what I wanted to do in life. Just looked to the moment and let it play out day by day. Yet as I have gotten older and look back, I can see in spite of my lack of concern, my life took form and purpose emerged which could not have been imagined even in my deepest thoughts, had I had any! This is an amazing thing, we can look at our lives at any given point and ask, "Why am I a failure?" or "Why am I a success?" Even our understanding of failure and success is relative to our own experience. Society looks at a person and says, "Had their circumstances (family situation, economic, education, culture, etc,) been different, then they would have or would not have _____" You fill in the blank. We must admit these factors do influence our lives, but if you are a Christian you must understand God is not limited by these factors or deterred by our personal life plans or lack thereof. His purpose will stand and all these factors in our lives both good and bad are known of Him from the foundation of the world. Julie and I once watched a movie with a re-occurring line where the main character would frequently say, "It could have been different, but it wasn't". Our lives are what they are and we can't go back and change them, nor should we desire too. We are to take what God has given us, turn our face to Him, cry out for His Grace and look for His Purpose in all we have experienced. We find this profoundly in the life of David Brainerd. I would encourage you to do some study and read about his life, it was going to be a short one, yet he had his plans as to what his life would be. Had he been a success in his plans, we would probably not be reading about him now. What he did and the reason he is know of us never entered into his mind until all his plans fell to the ground. It is said that his impact upon missions cannot be calculated, yet he never intended to be a missionary. Again, we must know, God's plans and purpose are not limited by our circumstances or personal plans, God's purposes will stand, and our seeming disappointments and failures are but tools in His hands to do with us what He pleases to the Glory of His name and the good of those that love Him. God is at work for the Glory of His name and the good of His church even when the good intentions of His servants fail, even when that failing is owing to sin or carelessness. So if your life is not what you planned it to be, if you are disappointed in how your life has turned out, then turn your face to God, thank Him for what He has given you in experience, cry out for His wonderful Grace to fulfill His purpose in you to the Glory of His name. Then you will find purpose in all things, joy of life in Him, and amazement in His love. We will look more at the events in David Brainerd's life perhaps in the next post, but let me close this week with a few words from the man that loved God. "If you hope for happiness in the world, hope for it from God, and not from the world." "From the home and the heart"
My dear precious wife is a bit under the weather this weekend, so here is a post she made on Saturday, December 03, 2011.What Have You "Purposed" in Your Heart? This question was prompted in me from a study of the 1st chapter in the book of Daniel. If you're familiar with the account, you know that Daniel (and the other three children of Judah) were among the well favored children, skillful, full of wisdom, cunning knowledge, and without blemish. Sounds like a promising background, don't you think? In other words, the elite, or best of the best was to be trained for the king. Well, as provision for feeding these fellows would go, the king would have them eat his cuisine (again, the best of the best). However, it seems Daniel had another dietary plan to stick with. You see, I'm getting to the heart of the matter now. Daniel had purposed in his heart that regardless of what place in this earthly kingdom he would hold, he would not defile himself with the "king's meat." The issue here of course, is that the foods on the king's menu did not hold with the Mosaic Laws for eating. Daniel would not dishonor his covenant with his God. Bring these thoughts home today. Just as Daniel "purposed in his heart" to obey the Law of God, how "purposed" are we today in our walk in Christ? Can we be bought with the dainties of this world? Is there an appeal holding us in fasination as pertaining to the lusts of this life? Is there a promise of recognition in some way that tends to turn our heads from the purpose? It seems the Bible would teach us that in order to stay "purposed in heart" we must daily crucify the flesh and its affections. Trusting God to provide His Spirit as a Comfort and Guide through this life will empower us to live in victory just as Daniel, and his three friends, did in this instance. We know the account of how Daniel and the others "proved" the faithfulness of God by eating what God said they should eat. These young men were given such favor as none other. Their wisdom, skill and knowledge surpassed any among them. Oh, to have the favor of an Almighty God! What is the "purpose of your heart" today? Find the Truth in His Word for you and follow it. His "blessing addeth no sorrow" with it. He's faithful to reward obedience. In the words of a great song, "Tis so sweet to trust in Jesus. Just to take Him at His Word." There's a stanza in this song about ...."how I've proved Him oer and oer." Is this your testimony today? Purpose to always honor Him. Moments in history? You have heard it said, most likely you have said it yourself, you know, the phrase "It seems like only yesterday". We have these moments in our lives that we reflect upon, they are moments that stick in our memories. From time to time our thoughts lead us back to them and we recall their joy or their hardness during that time (moment) of our life. As the years mount, these recollections accumulate, it is then we began to hear that phrase, "It seems like only yesterday." And truly it was, for our life in the scheme of time and eternity is but a moment in itself in all it's entirety. It is the brevity of life that I want to take our thoughts to again this week. For we do not know how much time we have left, yet if we love God, we know that every (moment) is working together for our good to accomplish His great will and purpose and bring us to the fulness of His life. Before we are through and move on to another subject in a few weeks, I want us to be able to take a look at the life of Joseph and all of God's workings in his life and those (moments) of which he could have reflected, and know that God is with us in each and every moment forever, even till the end of the world. As we make our way to Joseph, may we take a (moment) and look at the life of David Brainerd. David Brainerd was born on April 20, 1718 in Haddam, Connecticut. That year John Wesley and Jonathan Edwards turned 14. Benjamin Franklin turned 12 and George Whitefield 3. The Great Awakening was just over the horizon and Brainerd would live through both waves of it, then die of tuberculosis in Jonathan Edwards' house at the age of 29 on October 9, 1747. What a (moment). Brainerd was the sixth child and third son born to Hezekiah and Dorothy. After him came three more children. Dorothy had brought one little boy from a previous marriage, and so there were twelve of them in the home, but not for long. Brainerd's father Hezekiah would die when David was nine year's old (a hard moment). Five years after his father died at the age of 46, his mother died when he was 14. He described his religion during these years as very careful and serious, but having no true grace. When he turned 19 he inherited a farm and moved for a year a few miles west to Durham to try his hand at farming. But his heart was simply not in it. “As I was walking in a dark thick grave, "unspeakable glory" seemed to open to the view and apprehension of my soul ... It was a new inward apprehension or view that I had of God; such as I never had before, nor anything that I had the least remembrance of it. So that I stood still and wondered and admired ... I had now no particular apprehension of any one person of the Trinity, either the Father, Son, or Holy Spirit, but it appeared to be divine glory and splendor that I then beheld. And my soul "rejoiced with joy unspeakable" to see such a God, such a glorious divine being, and I was inwardly pleased and satisfied that he should be God over all forever and ever. My soul was so captivated and delighted with the excellency, the loveliness and the greatness and other perfections of God that I was even swallowed up in him, at least to that degree that I had no thought, as I remember at first, about my own salvation or scarce that there was such a creature as I. Thus the Lord, I trust, brought me to a hearty desire to exalt him, to set him on the throne and to "seek first his Kingdom," principally and ultimately to aim at his honor and glory as the King and Sovereign of the universe, which is the foundation of the religion of Jesus ... I felt myself in a new world" (An unspeakable moment) It was the Lord's Day, July 12, 1739. In less than two years he will be so sick with tuberculosis that he will be spitting up blood. As we continue to look at the life David Brainerd, the amazing thing may not be that he died so early and accomplished so little, but that, being as sick as he was, lived as long as he did and accomplished so much. Life in rural TN is such a blessing from the Lord. Being blessed to enjoy beautiful days of sunshine at decent temps in the middle of Jan. is always a nice incentive to keep pressing on toward Spring. Could it be that they simply cannot? Could it be that the eyes of their understanding have not been opened? Those of us who know Christ may have that tendency to forget that not everyone can receive the good things we have to share from Him. It simply has not been given unto everyone. The grace of the Lord to open the heart of the one who will not receive the truth is the prerequisite. Granted, as His children we have the responsibility to attest to His truth and share the Gospel with whosoever we may. However, the entrance of His word into that heart will occur because of His purposed work in that life. So, share the truth we must. Witness to the down trodden one and give them the truth that makes free, we must. But the making free, and the capacity to be free, come from the Father of lights. Borrowing from the cliche stated above, this seems a fitting application: "We may lead them there (to His truth), but we can't make them partake." How important to pray for the revelation of truth for the soul in question while the witness is being given. May we pray that they "drink" and come up with the "lips of vapor from the heat," as that enjoyment in Christ is found. I Corinthians 3:6 "So then neither is he that planteth any thing, neither he that watereth; but God that giveth the increase." I Corinthians 2:14 "But the natural man receiveth not the things of the Spirit of God: for they are foolishness unto him: NEITHER CAN HE KNOW THEM, BECAUSE THEY ARE SPIRITUALLY DISCERNED." May we not grow weary in the work of love. Have a blessed week. The year was 1973 or perhaps 1974, a mother had gone to an Assembly of God Church with a friend where her heart and life was met by a gracious and loving God. Not many days hence, a Baptist Church near her home had a revival meeting to which she decided to go and took her 14 year old son. Sometime during the week the Pastors wife came to the back of the church and asked the young lad if he had been saved. "I didn't know", was his reply, so the Pastor's wife took him to the visiting evangelist to pray for him. In a small back room of the church the evangelist asked him to pray the sinners prayer to which he agreed. After they prayed the evangelist asked the young boy if he felt anything, to which he replied very honestly, "no". 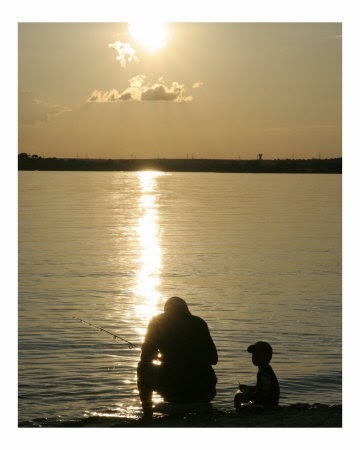 The evangelist continued to repeat the process of leading the young lad in the sinners prayer praying a little louder and squeezing his hand a little stronger each time and again asking if he felt anything. The young boy was beginning to catch on to the fact he was giving the wrong answer. So upon the 3rd or 4th repeat he finally answered, "I think so". He was then instructed after the sermon message was preached and the invitation was given, for him to go up to the alter and tell the preacher he had been saved. The young boy did as he was instructed and to his amazement, after arriving at the alter and while still standing and listening to the preacher speak to call others up, his heart began to melt and tears to flow from his eyes. Like his Mother, he had met a gracious and loving God. This marked the young boy's life; the Bible became precious to him. The attraction of his eyes was to the Word of God, which he consumed until he had read it from Genesis to Revelation. On the property where he lived there was an old log barn and well pump house, at times he would find his way to this secluded place with his Bible in hand and preach to the pump house and old barn door. One might say he was someday going to be a preacher, perhaps it was a hidden desire of his heart, but it was not to be. Though his heart would never completely leave the gracious hand that saved him and loved him, it would began to grow cold during his late teen years and much of his twenties. His affection would turn to the attractions of the world, his desire to prove himself and be admired by others would be a distraction for many years. Feeling inferior with a low self-esteem he was constantly looking to lift himself up in the eyes of others. He found a particular sport to which through his efforts it seemed to do this for him. So he gave himself to it almost completely, devoting his time to it. This story has not yet ended, this young boy is now a man, and his heart once again, through the Providence of a Gracious God, is beginning to burn afresh for the precious Word of God. His identity is not longer in a sport or achievement, but he rest now in the Grace of God that has been bestowed upon him. This is just one story of an uncalculated number that could be told, all of them different in the Providence of God, as we each walk out our life and tell our stories. This brings me back to last weeks post looking at the short life of Robert Murray McCheyne. In the Providence of God he was not going to have the time the young boy described above was going to have, so God took him another route. In his life we find so much hope in the Grace of God. It shows us time is not a factor with God. There was no profound event in McCheyne's life, no great discovery or achievement that one can point to. He was simply an associate Pastor of a small church for 1 year, then Pastor for 6 years, and that marked with sickness. So why 168 years later are we reading, studying and being moved by this man's words who only had 7 years to minister? It is a wonder in the demonstration of the Grace of God to us, it tells us where ever we are in the story of our life, the Grace of God is there to do His marvelous work. He may be patient and wait with us for many years, then He may take us and do a marvelous work in a short period of time, it is according to His pleasure. It enables us to rest in Him once we see His glorious life. Today is the day of mega Churches and Super Stars, they tell us we must be strong in faith and believe God for Great things to glorify Him. McCheyne's life was a life of weakness, frailty, and brevity. The great work of God was the work upon the heart of sinful man. May we take a few moments and hear the words from such a work of God, words that have lasted for 168 years to continue to encourage us and bring us to God. "Learn much of the Lord Jesus. For every look at yourself take ten looks at Christ. He is altogether lovely . . . . Live much in the smiles of God. Bask in his beams. Feel his all-seeing eye settled on you in love. And repose in his almighty arms." ~ Robert Murry McCheyne. "You may read your Bible, and pray over it till you die; you may wait on the preached Word every Sabbath-day, . . . [But] if you are not brought to cleave to him, to look to him, to believe in him, to cry out with inward adoration: "My Lord, and my God"—"How great is his goodness! How great is his beauty! "—then the outward observance of the ordinances is all in vain to you." ~ Robert Murry McCheyne. "We are often for preaching to awaken others; but we should be more upon praying for it. Prayer is more powerful than preaching. It is prayer that gives preaching all its power. . . . Why, the very hands of Moses would have fallen down, had they not been held up by his faithful people. Come, then, ye wrestlers with God—ye that climb Jacob's ladder—ye that wrestle Jacob's wrestling—strive you with God, that he may fulfill his word." ~ Robert Murry McCheyne. "A man is what he is on his knees before God, and nothing more." ~ Robert Murry McCheyne. "Study universal holiness of life. Your whole usefulness depends on this, for your sermons last but an hour or two; your life preaches all the week. If Satan can only make a covetous minister a lover of praise, of pleasure, of good eating, he has ruined your ministry. Give yourself to prayer, and get your texts, your thoughts, your words from God." ~ Robert Murry McCheyne. "Most of God's people are contented to be saved from the hell that is without; they are not so anxious to be saved from the hell that is within." ~ Robert Murry McCheyne. "It is a sure mark of grace to desire more." ~ Robert Murry McCheyne. "No one ever came to Christ because they knew themselves to be of the elect. It is quite true that God has of his mere good pleasure elected some to everlasting life, but they never knew it until they came to Christ. Christ nowhere invites the elect to come to Him. The question for you is not, Am I one of the elect? But, Am I one of the human race?" ~ Robert Murry McCheyne. "It is not great talents God blesses so much as great likeness to Jesus. A holy minister is an awful weapon in the hand of God. A word spoken by you when your conscience is clear, and your heart full of God's Spirit, is worth ten thousand words spoken in unbelief and sin." ~ Robert Murry McCheyne. "Unfathomable oceans of grace are in Christ for you. Dive and dive again, you will never come to the bottom of these depths. How many millions of dazzling pearls and gems are at this moment hid in the deep recesses of the ocean caves." ~ Robert Murry McCheyne. "A man who loves you the most is the man who tells you the most truth about yourself." ~ Robert Murry McCheyne. "You will never find Jesus so precious as when the world is one vast howling wilderness. Then he is like a rose blooming in the midst of the desolation, a rock rising above the storm." ~ Robert Murry McCheyne. At any rate, there is so much that one needs to know from the study of the Founders, and I am so thankful that it is a burden given to hearts, such as my husband's, to do just this. The peace of resting in the provision of our Sovereign God is beyond explanation. Knowing that throughout history, He has had His plan unfolding, and the instrumental use of who He would, is awe inspiring. Just as this week's post expresses the workings of the Lord in a young lad's life, so it seems fitting to share some things from a young girl's life to correspond. A young lass growing up among three other siblings, and raised on a shoestring budget, once developed such an inferiority complex that in turn produced an avid amount of "over achieving" behavior for years to come. The driving force of being portrayed as "not quite good enough," would take over this personality to cause a sense of expectancy of certain conditions met, not only in herself, but others as well. In turn, when these expectations were not met, the failure was a roller coaster ride. One only embarks upon true excellence as the Lord allows, and that only because He is the "Excellent One." If we belong to the Master, pride will have to crumble. His glory is not to be shared with any one. When the Lord delivers those of the disposition of the young lass mentioned from such idiotic behaviors, there should be much rejoicing in His great mercy. He's so faithful not to leave us to foolish vices which have blinded our understanding of His purpose and plan. Life in Christ provides a special position for all who know Him. When we search His Word, we can be sure that we will find that place in Him. How liberating to know that we needn't pattern ourselves after some self made hero, or popular personality type. He is the "Author" and "Finisher" of our faith. May we stay positioned in the hands of the Potter. The formation of the clay is in the plan of His hands. What better place to be? Psalm 8:1 "O LORD our Lord, how excellent is thy name in all the earth! who hast set thy glory above the heavens." He is the Lord our Peace! How reassuring to know and experience the presence of His peace. A few weeks ago, we posted a small message on "patience," and the working of it in our lives. After the festivities of this season have passed, the analysis of this great virtue operating smoothly in my own life has proven to come up a bit short. Isn't this like all other areas of Christian character, a venue in which we must rely upon the grace of the Redeemer to work the necessary improvements designed by Him for His purpose? The account of the past few days has once again proven true to the Word of the Lord. We certainly devise our plans, but it is the Lord Who directs our path. (ref. Prov. 16:9) You may feel that you've formulated all the best plans, being careful to dot all the "i"s and cross all the "t"s. However, your plans may, in fact, become laced at any moment with the uncalculated circumstances of life. It is often in these moments that the extent of the development of His character in the life of the believer will reveal itself most. It may be Christmas Eve in the wee hours of the morning. Your crock pots may be full with early morning plans for preparing a feast for 20 people. Your eight granddaughters may be preparing to spend a few days with you after this feast. But, your husband may writhe in pain in these wee hours of this morning with an acute attack of diverticulitis. (a flare up he hasn't had for 2 years now). What are the odds that this would occur at such a time? Likely, a part of providence. Surely there is an enemy among us wreaking all the havoc he can muster. Yet, regardless of authorship, there's no denying, we have an issue. It didn't go away all at once either. Do we go to the ER, or do we wait? We waited and prayed. Full morning daylight did shine after a very sleepless night for us. My husband improved and ate lightly. He is much improved now and even better in some sense than before the attack came. However, patience and anxiety were at odds during this time. But, Jehovah Shalom, our peace was always the same. Peace is there, and faithful. We must rest in the provision of this peace. Praise belongs to the Lord our deliverer! It is He Who never leaves nor forsakes us. When the well made plans fail to come to fruition, trust the all sufficient One with the direction of your steps. Though we often may falter, He is always faithful. 1. One who is attached to another by affection; one who entertains for another sentiments of esteem, respect and affection, which lead him to desire his company, and to seek to promote his happiness and prosperity; opposed to foe or enemy. Facebook has to some extent redefined what it means to be a friend. A friend as Mr. Webster defined it is truly precious, and rare. The Apostle Paul had such a person in Saint Luke. We read in II Timothy 4:10 For Demas hath forsaken me, having loved this present world, and is departed unto Thessalonica; Crescens to Galatia, Titus unto Dalmatia. Robert Murray McCheyne had such a friend in Andrew Bonar or you and I would not be considering the life of McCheyne today. He would have passed into Obscurity like you and I most likely will, a few generations from now, know one will know or care if we ever lived or not. Our endeavor to be all that God desires us to be is not for our legacy, but for the pure pleasure and Glory of God alone. Yet, in the Providence of God, He has chosen to preserve a record of certain lives in History that we may see His work of Grace in the lives of men, both to His Glory, and that we may believe and trust His Grace in our own lives and recognize it in the lives of others that we may Praise Him for the Wonder He is. McCheyne's life was a very short one, but a powerful yet ordinary life and a friend captured it in writing that we may now rejoice in. He was a local pastor in Dundee, Scotland, who died in 1843 at the age of 29. He was a local pastor who served his church for six years and then died of Typhus fever and was buried in his own church yard. In Php 3:17 we are instructed "Brethren, be followers together of me, and mark them which walk so as ye have us for an ensample." In God's Providence, McCheyne has been marked for us as such an example to follow. A long and fruitful life is truly a glorious thing, yet McCheyne demonstrates for us that God's Grace in doing great things are not limited to the length of our lives. If we have come to Christ in our later years, O how marvelous is the working of the Grace of God to us. If God has chosen in His Providence to give us Grace in the end of our lives and we have but a few years left, O the wonder, it is the Lords work and it is marvelous in our eyes. Quoting from John Piper in his article (He touched the Rose and Felt the Thorn), McCheyne stated, "I indulged in all the amusing and beautiful pleasures of the world, and didn't give a thought to sickness and suffering and death." That's what he meant when he said, "I kissed the Rose nor thought about the thorn." But after his conversion, he spoke often of Jesus as his Rose of Sharon, and he lived in almost constant awareness of the thorn of his sickness and that his time might be short. He said in one of his sermons, "Set not your heart on the flowers of this world; for they have all a canker in them. Prize the Rose of Sharon . . . more than all; for he changeth not. Live nearer to Christ than to the saints, so that when they are taken from you, you may have him to lean on still." Are we not all like that in the beginning of our lives? It's different pleasures for different people, but it is always pleasures. For me it was motorcycles and motocross. Seems like an innocent pleasure, but no one knows but God and myself the sinful acts of pride it generated and the sacrificial offerings to which I gave it. In many cases it's not so much the pleasure, but the condition of the heart when taken. Piper continues saying of McCheyne, "The point of the subtitle ("Living and Dying in the Morning of Life") is to underline the second part of this title. He lived only the morning of his life. Most of us live a morning, a noon, and an evening of life. But McCheyne died before he was 30. My argument is that his effectiveness was not frustrated by this fact but empowered by it. Because of his tuberculosis, he lived with the strong sense that he would die early. This was a huge factor in his powerful usefulness." I see the point Bro. Piper is making, but another view is available, McCheyne life could be viewed as a long and fruitful life condensed down into less than 30 short years for us to observe. God's Providence is such an amazing thing, how and when it touches our lives. We all come to these moments that turn us one way or the other. The death of a love one, though so tragic, yet in the Providence of God a glorious thing. After losing a beloved brother, McCheyne would write, "On this morning last year came the first overwhelming blow to my worldliness; how blessed to me, Thou O God, only knowest, who hast made it so." Eleven years later on the anniversary, he wrote, "This day, eleven years ago, I lost my loved and loving brother, and began to seek a Brother who cannot die." Though an emotionally heart-wrenching death a glorious work of the soul begins. So let us not detest the difficult things of our lives, they are but a story told of you and me, and the precious Hand of Providence that guides us were we must be. We must look for His Grace, it is our only hope, with it we are brought to life, without it we sink in destruction and Hell. So here is the story of his conversion as he told it in a poem. The poem holds true in his life and in his death. Perhaps he did not know how his life would go, yet in the mind of God it was written from all eternity, and from his heart comes forth words prophetic to his life, a reflection of his heart so sure. Saturday, May 05, 2012 "A Godless Constitution?" Saturday, April 21, 2012 "The Judges"
Sunday, February 19, 2012 "Thomas Paine"
Sunday, June 26, 2011 "The early Courts"
Sunday, June 12, 2011 "God and Government"
Saturday, June 04, 2011 "Madison and the Courts"
Saturday, May 14, 2011 "WHEREAS"
Sunday, May 01, 2011 "American Way"
Saturday, April 16, 2011 "Spiritual Foundations"
Saturday, April 09, 2011 "Foundation"
Monday, February 28, 2011 "Living Constitution"
Sunday, October 31, 2010 "General Principles"
Saturday, October 23, 2010 "Contrast"
Sunday, July 25, 2010 The Year "1794"